Dr. James Okamoto and the staff at Ka Wai Ola Family Medical Clinic provide excellent healthcare to older adults living in the area of Waipahu, Hawaii. We look forward to connecting with seniors and their families as we provide a full range of services from screening and preventive care to treatment of chronic disease. Why is Dr. Okamoto’s family practice an excellent choice for senior health care? 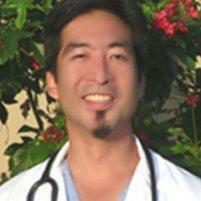 Dr. Okamoto treats the whole person along with all of their health problems. His caring attitude and comprehensive outlook are exactly what’s needed as you get older and face the risk of developing more than one chronic condition. While Dr. Okamoto provides screenings and helps you prevent disease, the Centers for Disease Control report that 45% of adults age 65 and older have 2 or more chronic conditions, such as high blood pressure, high cholesterol, diabetes, arthritis, and heart disease. Chronic conditions can lead to another problem that Dr. Okamoto can help manage, and that’s taking multiple prescription medications. Studies show that about 36% of adults between 75 and 85 years of age take at least 5 prescription medications. Mixing this many medications may be necessary, but it also puts you at risk for side effects and drug interactions. Dr. Okamoto can protect your health by coordinating the care for all of your treatments, a service that’s not typically offered by specialists. What senior care services are available at Ka Wai Ola Family Medical Clinic? Will Dr. Okamoto help coordinate care with other specialists? If a health problem arises and you need specialized care, whether from a cardiologist, a rheumatologist, or any other specialist, Dr. Okamoto will help you find an excellent physician and will participate as a member of your health care team. If the time comes when you need to consider in-home care or a transition to assisted living, he will still be the primary care doctor you can count on for treatment. Your family, friends, and caregivers will be welcomed as part of the team supporting your health and keeping you active in the community. Please call the Ka Wai Ola Family Medical Clinic – we’re here to answer your questions about senior care.